Tanga is a global daily deals website connecting customers and sellers. With categories including electronics, home and health and beauty, Tanga was named one of the fastest-growing American companies by Inc for three years in a row! Tanga place your products in front of customers who want your products, and sellers find Tanga easy to work with - and it's even easier to manage with our Tanga integration for Linnworks. To use Tanga.com in Linnworks, you must first install it from within Linnworks.net. 5. Locate Tanga.com on the list, and click Integrate. 6. Click the link at the bottom to review the Tanga.com Connector’s Terms and Conditions. After reading the warning, click Accept to move onto the next step of the integration. 7. 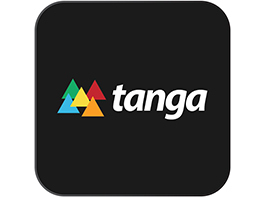 Enter your Tanga.com account name to start the actual integration. 8. After reading the Disclaimer, please tick I agree to the terms and conditions and click Next to continue integrating Tanga. User name & password: You should receive your Tanga username and password when you register with Tanga. Vendor ID: You should also receive your Vendor ID when you register with Tanga. Default Currency: Set the default currency for orders downloaded from the channel. This field is optional, as the currency will be included in the orders. 6)	Under Inventory Sync Locations, you control which Linnworks Inventory locations are used to calculate the Available Stock values for your Elala listings. 3)	Locate the Tanga entry, and click the Configuration button. 6)	The first option is the Order Download location. This is initially Default, but can be changed. Click on the drop-down list and select which inventory/fulfillment location will initially receive the orders from the Tanga integration. 7)	Under Inventory Sync Locations, you control which Linnworks Inventory locations are used to calculate the Available Stock values for your Tanga listings. Linnworks uses the Mapping Tool to ensure that it knows which SKUs in its inventory are connected to which listings on Tanga.com. As such, you should ensure that all of your listings are mapped correctly, or stock levels and prices will not update correctly, and orders may not be picked accurately. 3)	Locate the Tanga entry, and click the Mapping button. This screen is divided into two sections. On the left are the listings Linnworks is aware of on your Tanga Channel. If this is not correct, or a change is missing, you should see the Download Listings button in the Listings section of the Channel Configuration. On the right is a Linnworks Inventory Search Tool. Each has its own Search box. 4)	Use Search to locate the Inventory item that requires a Price Change on Tanga. 8)	Enter the Source as Tanga.com. 9)	Enter the SubSource as the name of the Tanga channel. 3)	Locate the Tanga entry, and click the Payment Method button. 5)	When mapped, Linnworks will ensure the orders it downloads from Tanga reflect correctly which payment methods/providers have been used on the site. 1. Select the Channel Payment Method value, and select one of the Payment Methods from Tanga that show in the drop-down list. 4. Repeat this for all of the Tanga payment methods you wish to use. The next step is to map your Tanga.com Shipping services to Postal Services in Linnworks, so orders don’t need to have their Postal Service set manually. Initially, all are mapped to Default. 5)	To add a new entry for one of your Tanga shipping services, click on Create New. 1. For Channel Service Name, enter the name of the Shipping Service in Tanga. 2. In Channel Service Tag, enter the Tag Value used for the service in Tanga. 3. In the Linnworks Postal Service drop-down list, select the name of the Linnworks Postal Service that should be used for orders imported from Tanga, with the Shipping Service to dispatch them correctly. 5. Repeat this for all the other Tanga Shipping methods you are using..
Before integration of this channel in Linnworks, should the seller should have an account with tanga.com? Yes, a seller account is required in order to integrate this channel into Linnworks. What functionality is supported by this channel integration? Management of orders (download, marks as dispatched), updating prices & updating stock levels. How do I find the user name / Password, Vendor ID and Default Currency details for setting up the channel integration? You should have received this information when you registered with Tanga. See Step 1 of this guide. Which type of orders are downloaded into Linnworks? Only orders with the status of Unshipped are downloaded into Linnworks from the channel. Which Payment methods are downloaded to Linnworks for orders from the channel? Only Paid status are provided. Do I have to assign the tracking number to the order before processing it, if I want it uploaded to the channel? Yes – Orders in Linnworks cannot be edited after processing, and therefore the Tracking number must be in place before the order is processed if you want the channel integration to pass it. Do I need to define the shipping service for the order in Linnworks orders before processing it? Yes. As orders in Linnworks cannot be updated after the are processed, you must define the Shipping Service before marking the order as processed. How often does an integrated channel send Shipping/Status updates to Tanga? Synchronisation occurs once per hour. If there is a problem with astock update from this channel integration, can we check for errors in Linnworks? Yes, the Automation Logs can be found under Settings in Linnworks.